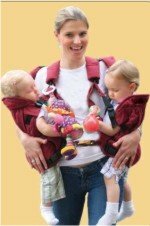 I have only come across a few manufacturers of twin baby carriers and wraps/slings/hammocks, etc. so far. These clever contraptions allow you to hold two babies at the same time while keeping your hands free (a.k.a. twin baby wearing). A nice option when twins are very young and you don't want to pack up the double stroller or simply want to keep your babies close. They can be worn in varying positions and may even be utilized at home for toting your babies while doing other tasks (like the vacuuming!). Additionally, and newer to the market, are baby hammocks. I know they really don't fall into the traditional "twin baby carrier" category, but wanted to include them here as they are such an asset for grocery shopping with twin babies. Read below about specific features, pricing and product links. And keep in mind that this is for informational purposes only. *Please note: Sometimes manufacturers discontinue products and/or change their prices without our knowledge. Additionally we have not been paid to talk about any of the products mentioned. This is only an informational guide. If you have twins or children born close-in-age, chances are both will have needs to be cuddled or carried at the same time. 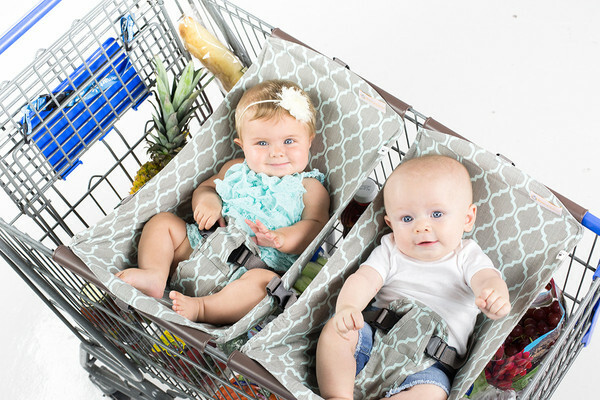 The TwinGo Original is yet another twin-mom invention and the first dual-child carrier that allows you to carry two children simultaneously in an ergonomic front/back position (patented). Yet it also easily converts into two separate carriers for those situations when each adult wants to carry a twin on their own. The TwinGo also comes with two sleep hoods and features two generously sized pockets that help you get out without the extra bulk of a traditional diaper bag. The pockets are spacious enough to fit diapering and basic essentials, but not too big to impact the comfort of the child or the balance of the adult. The pockets also cleverly reverse into storage compartments for the TwinGo when not in use. 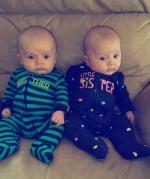 What twin parent could ask for more? Grab yours in a choice of neutral, appealing colors for a total price of just over $200. The Twingaroo Baby Carrier and Diaper Bag Combo just came out in 2015. It's by the same manufacturer of the TwinTrexx, so you know the quality and design is top notch. It's one of our favorite twin baby carriers on the market and has also been awarded our prestigious Twin Mom Seal of Approval. What could be better for parents toting two babies around? A diaper bag included! 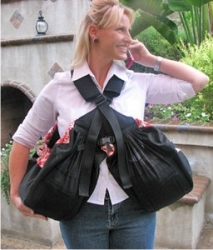 It boasts a carrier for each twin as well as a small handy diaper bag all in one contraption. Great for getting around with the essentials. I's adjustable to accommodate most adults. It is available in a variety of colors and patterns. Additionally, there are helpful videos so that you can see it in action. You can own one of these twin baby carrier/diaper bag combos for around $169.99. And you can purchase the conversion kit if you want to be able to use it as two separate carriers for an additional $25. This twin baby carrier arrived on the scene in 2011 and now has an original version as well as the "TwinTrexx 2". It was invented by a mother of twins and offers some helpful configurations for babies from 7 to 25 pounds. It can be used front to back, side to side or as a single carrier for each parent or caregiver. It's cushioned in all the right places for maximum comfort and the external pockets offer easy storage. The TwinTrexx is easy to put on and take off. It is currently available in a unisex burgundy color (the Original) and black (TwinTrexx 2) that will work well for any combination of twins. These twin baby carriers run around $129 to $159. These baby hammocks for shopping carts are pretty new to the market here in 2015-2016. I love how there are always new innovations in baby gear developed by parents out of their unique needs when getting out with multiple children. And hey, we all have to grocery shop! The Binxy Baby Hammock easily attaches to most any grocery shopping cart and also folds down to a tiny little thing when not in use. You do need to purchase these separately, meaning they are sold individually and not in pairs. So, if you want to utilize a hammock for each twin, then order two. Otherwise, some parents find that just one will work when they choose to have the other twin in a carrier or sling. You will love the hip, modern prints and also the fact that the Binxy Baby Hammock will accommodate an infant car seat, yes you heard right! They are a bit on the pricey side at around $49 bucks a piece, so you're looking at around $100 for two, but who's counting when it makes life at the grocery store that much easier? Weego makes one of the best quality twin baby carriers in your choice of fabrics. We love that it can accommodate preemie twins too! It won't work for older babies (around 6 months is the max) like some of the other carriers, however you can't beat it for newborns. The Weego easily adjusts for growing babies and to fit different people carrying them as well. It's machine washable to boot, a real plus. One of these will cost you around $169 USD from Weego.com. The Moby Wrap baby carrier is very versatile. It is machine washable, comes in several colors, and appears to be pretty comfortable to wear. A great option for premature twins. 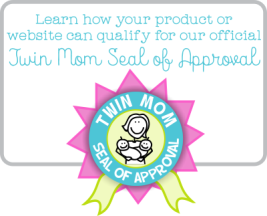 There are detailed instructions and photos (like the one shown right) on the many ways to use it offered on their official website - mobywrap.com. This particular baby wrap for twins is a super bargain at only around $45! The Double Take sling is no longer available, as it has been discontinued by the manufacturer. However, we still wanted to keep it here as this page covers all sorts of twin carriers for informational purposes. 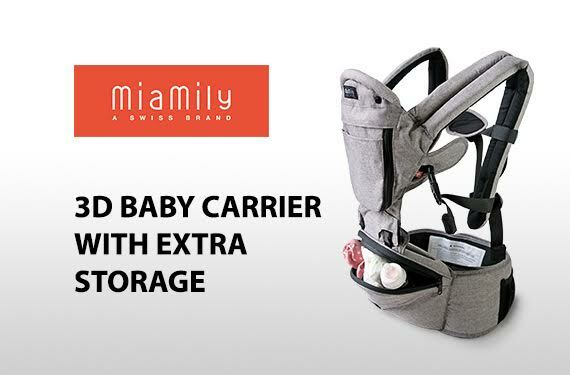 This carrier has two adjustable slings that grow with your twins. Use from birth to 20 lbs (each sling). Two connecting slings may be separated into two single slings so babies can be carried individually if need be. 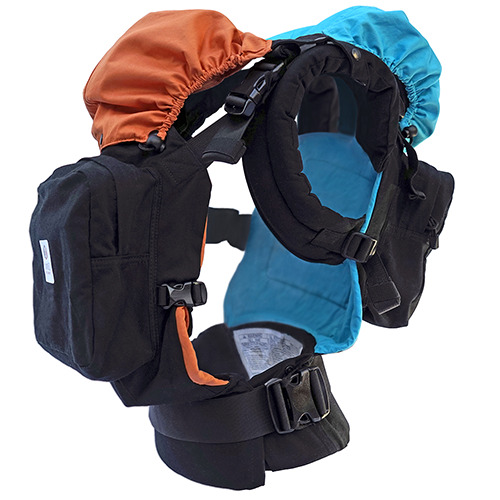 Front mesh panel allows airflow inside sling while twins sleep, enjoying the rocking motion during your walk. One size fits all: Shoulder strap is adjustable for mom or dad. Cushy, foamed shoulder pad adds extra comfort for wearer. Inside the sling, the "Comfort Pad" offers secure center and side waist restraints that adjust, and move lengthwise as your babies grow in length. The "Comfort Pad" is also removable for an on-the-go diaper changing station, and can be machine washed and dried separate from the sling. Back of sling has an expandable feature that zips open the sling fabric, offering more leg room as your babies grow. Two pockets inside sling hide extra diapers, wipes, wallet, keys and cell phone. Nursing is discreet and easy with baby still inside sling. *Patent Pending.